Sometime last year, a friend advised me to look into the abuse of press freedom under the current administration of President Muhammadu Buhari as a research work and I laughed it off. compared to what is obtainable in her fellow African countries like Egypt, Uganda, Eritrea, Ethiopia, Zimbabwe, Kenya, Burundi and others in the class of Russia, North Korea, Turkey, China etc. Nigeria has been able to achieve pluralism in the media sector as she accommodates successfully the traditional and alternative media as democracy entails but press freedom as well as independence which the United Nations Educational, Scientific and Cultural Organization, UNESCO gave as criteria for the media to strive well is not adequately guaranteed in reality. All over the world, the media industry is described as a business of the elites who tend to churn out media narratives that suit their political and business interests. Most of the Nigerian politicians adjudged looters in the 'court of public opinion' now have media houses with talented journalists employed as perpetual praise-singers. In order not to be unconsciously caught in a ‘Filter Bubble’, never stick to one media platform. Press freedom under Buhari appears to be shrinking everyday with media practitioners comfortably sitting on a keg of gun powder. The fate of Premium Times journalist, Samuel Ogundipe who has been hounded and hunted by the police for doing his job is a wake-up call for journalists sleeping at the war front. This didn't just happen overnight; just like AIDS, the symptoms have always been there but nobody cared to pay attention and now we are about to experience a full blown virus at the detriment of good governance. In 2015, Buhari gave indications of his intolerance of press freedom when he barred the African Independent Television, AIT in April, 2015 from covering his activities. I'm sure the President suddenly forgot it wasn't 1983 anymore. It took the intervention of the then National Publicity Secretary of the ruling All Progressives Congress, Lai Mohammed to water down the controversy. Press freedom goes hand in hand with the freedom of expression, which together are inalienable rights of human beings. Once you mortgage one of them, you end up automatically limiting the other. Buhari's body language appeared to have been wrongly read by the police in Ogun State when it arrested a man, Mr. Joachim Iroko for naming his dog 'Buhari' to taunt his neighbour of Northern ancestry. The issue which could have made a good comedy skit on Instagram or Nollywood almost landed the man behind bars if not for the public outrage and intervention of human rights lawyers. Another casualty was Jones Abiri, a journalist based in the South-south part of Nigeria who was arrested by the men of the Directorate of State Security, DSS in 2016 and held incommunicado in a secret cell for two years without being charged to court. His family never heard of him, the DSS denied having him and he was presumed dead! It took the intervention of human rights lawyer, Femi Falana and other media activists for the secret police to arraign the emaciated married man and father of five in court recently. Former CEO of Chocolate City Entertainment, Audu Maikori who was the loudest voice of residents of Southern Kaduna on Twitter was hit by Governor Nasir El Rufai for admittedly propagating a false report about the Kaduna killings in February, 2017. Maikori briefly landed behind bars for his mistake. Still on Kaduna State, a journalist working with Vanguard newspaper, Mr. Luka Binniyat was also arrested by the Kaduna Police, on allegations of authoring a false story of a herdsmen attack in Southern Kaduna. Binniyat appeared in the courtroom in crutches having survived an accident and was remanded in prison. Similarly, Mr. Midat Joseph of Leadership newspaper and one Yayock Eusebiuf were arrested and charged to the court on a three-count charge of criminal conspiracy, inciting disturbance and injurious falsehood. Joseph was arrested on April 19, 2017 and detained by the police over a comment on WhatsApp social platform group chat where he had contributed to a conversation. The court later dismissed the case. A blogger-turned-politician Abubakar ‘Abusidiq’ Usman was arrested by the anti-graft agency, EFCC for publishing articles which were critical of the acting chairman of the EFCC, Ibrahim Magu. His house was searched and some of his working tools confisticated by the EFCC. The young man is a member of the APC today. If you can't beat them, you join them! Ahmad Salkida who is widely regarded as a ‘Boko Haram journalist’ is a regular customer of the army. His controversial reports on the activities of the terrorists in the North-east have made him a regular target of the military which is trying hard to sell the narrative that it has won the war against Boko Haram insurgency. At some point, Salkida fled Nigeria to do menial jobs in Dubai, United Arab Emirates for survival. A former presidential spokesman, Reuben Abati who has maintained a pessimistic view of the Buhari-led administration from day one with censorious opinion editorials released weekly soon became a guest of the EFCC. He was accused of benefiting from slush funds while in office and subsequently detained. On his release, Abati learned to use the caution button better when criticizing the government in his regular columns. 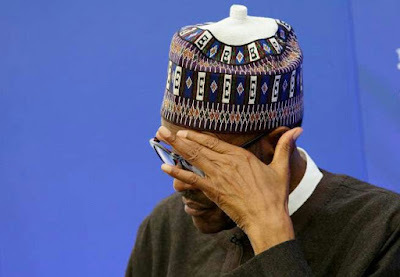 A Punch newspaper's State House correspondent, Olalekan Adetayo covering the Presidential Villa, Abuja was expelled by the Chief Security Officer to President Muhammadu Buhari, Bashir Abubakar for reporting that Buhari’s concealed poor health and dereliction of duties. He was later reinstated following a public outcry. At the peak of the Biafra advocacy championed by the missing separatist, Nnamdi Kanu, over 20 soldiers during the Operation Python Dance II military exercise invaded the Secretariat of the Abia State Council of Nigerian Union of Journalists at No. 1 Aba Road Umuahia and unleashed terror on journalists. Senior journalists were beaten and their electronic gadgets were destroyed. Nobody has been held to account for this Gestapo style act till date. One, Emeh James Anyalekwa – the editor-in-chief of Igbere TV was also arrested and detained by the DSS. This man wasn’t totally innocent anyway. He was notorious at abusing media ethics and values. In April, 2017, Austin Okai, blogger was arrested in Abuja by security operatives believed to be from the Special Anti-Robbery Squad, SARS over alleged criticisms of the government of Kogi state. Operatives of the special anti-robbery squad (SARS) on the orders of the Inspector General of Police, Ibrahim Idris whisked away Daniel and Timothy Elombah, publisher and editor of Elombah.com from their Anambra residence. Six other males were reportedly arrested alongside him. The police weren’t bold enough to concretely spell out their offence but rumours have it that one of the brothers published a negative piece about the IGP who didn't want to be checked. The Deputy Majority Leader of the Senate, Bala Ibn Na’Allah (APC, Kebbi South), of the APC also made an attempt to gag the social media by sponsoring an obnoxious social media bill. His major goal was to kill the political consciousness in Nigeria and limit the freedom of expression as social media has proven to become the one of the most lethal political tools in the world today. Leading alternative media platform SaharaReporters is battling with lawsuits filed by Senators Dino Melaye, Bukola Saraki and others just for the purpose of derailing the media platform which is built on citizen journalism in the face of a highly politicized mainstream media in Nigeria. A tracking officer of a Nigerian civil society organization, BudgIT - Moses Motoni was arrested in Kaduna State in December, 2017. He was arrested for teaching residents of Bida, Niger State how to hold leaders representing them both at the state and federal levels accountable. This action provoked Senator Sani Mohammed, representing Niger South of Niger State, to order Mr. Motoni’s arrest. In August, 2017, the Nigerian military through John Enenche - director of defence information, said it had commenced monitoring of the social media for comments that could be “anti-government, anti-military or anti-security”. Earlier in June, 2016, the Chief of Army Staff, Lt. Gen. Tukur Buratai, described those behind the issue of the acquisition of two properties by his family in Dubai, the United Arab Emirates, as defeated Boko Haram terrorists on migration to the nation’s cyberspace. He promised to defeat them accordingly. President Buhari on his forced visit to Benue State (March, 2018) in the light of incessant killings by herdsmen banned top media houses from covering his visit to the middle-belt state. Some protesters were also disbanded by security operatives. According to reports, out of 30 correspondents from various media organisations in Benue State, only 7 seven were handpicked to cover the President's visit without any definite reason. Furthermore, the National Broadcasting Commission (NBC), fined DAAR Communications (owner of AIT/Raypower) N500,000 for alleged persistent violation of the provisions of the Nigeria Broadcasting Code. NBC’s Head of Public Affair, Maimuna Jimada, via a statement said comments made on Raypower’s programme “Political Platform” was against the broadcasting code. The APC National Chairman, Adams Oshiomhole recently launched a scathing attack on the 12-time best TV station in Nigeria - Channels TV as well as other newspapers for allegedly spreading Fake News about the National Assembly crisis. The author and finisher of Fake News in Nigeria, Alhaji Lai Mohammed has also been hiding under the guise of limiting hate speech and Fake News to disparage dissenters which is an aberration to the principles of democracy. Lately, the song of Nigerian rapper, Falz titled 'This Is Nigeria' which mirrored the challenges of the Nigerian society was banned by the National Broadcasting Corporation. These are just a few cases on the infringement on freedom of press and speech by state actors under the Buhari-led administration. The real attack on democracy wasn't the National Assembly siege by the DSS but a clampdown on journalists who work assiduously for meagre sums just to grant the general public their constitutional right to know. Gradually, Nigeria is heading towards the direction of North Korea under Chairman Kim Jong Un where the only information out there is what the government wants you to know. A place where you can be seen but should never be heard. A place of stark dictatorship where the abuse of fundamental human rights reigns supreme. This is certainly not the dream of the most populous black nation in the world. Strong men trying to intimidate journalists and stifle the media should be reminded that political communication is key to the maturation of our nascent democracy. The role of the media can't be overemphasized as it acts as a bridge between the government and the people. - a journalist and a doctoral student of the University of Ibadan. He writes from Lagos State.